Ever since I discovered how to make homemade granola, I’ve wanted to come up with a breakfast cookie that called for oatmeal. It’s a heart healthy food and it just makes sense to incorporate it into your diet. I’ve been trying different combinations every time I have ripe bananas (which happens more often than not around here!) It’s taken a little trial and error but I think I have a recipe that you all will like. An easy and hearty breakfast on the go! Bake 15 - 20 min. until lightly browned. Cool 5 minutes on cookie sheet and then remove to cooling rack. Shorten baking time if you use a smaller scoop. Of course you can substitute/add anything you want to the basic ingredients. I am on a Craisins kick so I added Cherry ones and they add a great zing to the cookies. The texture is somewhat like a moist breakfast bar. Very chewy and tender. I made big cookies but you could use a smaller scoop and make kid-size servings. These sure beat the boring slice of toast I’ve been having for the past few weeks! 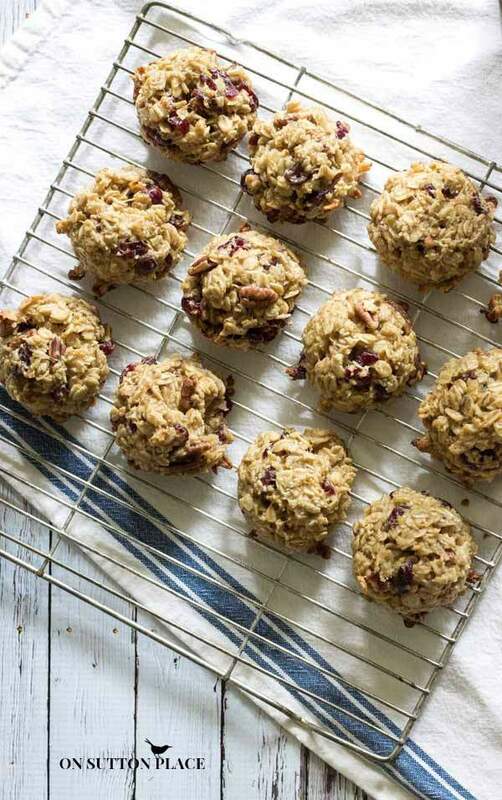 You can keep the ingredients on hand and make these cookies any time in just a few minutes. If I have ripe bananas but don’t have time to bake, I throw them in the freezer. To use them, let them set out for about an hour. Cut off the ends and just squeeze the fruit out of the peel. There is wonderful juice that comes out too. When I shared my Pledge of Allegiance Free Printable I told you I was working on some patriotic decor. That hasn’t happened and I’m not sure it will. Last week my sweet Mom went into the hospital. I’m not sure who took it worse…her or my Dad. She came home last Saturday and then on Saturday night, when I was walking Kelly, we were attacked by a large, loose dog. I was knocked to the ground but she was hurt much worse. It was touch and go for a few days because she wouldn’t eat or drink. She turned the corner yesterday and things are looking up. I have always felt so safe in my neighborhood and now I’m afraid to take a walk. I think that makes me as angry as what happened to Kelly. Anyway, everyone is getting a little better every day. If you could add us to your prayer list for a day or so I’d be grateful. Thank you for stopping by and I hope to see you in a few days! Oh, so sorry to hear about your Mom and Kelly. I have that same fear when I walk my sweet little dog. How scary that must have been for you. I’ve been making your oatmeal smoothie daily and love that I am incorporating more oats into my diet. I will be sure to try your breakfast cookies as soon as my bananas ripen! Thanks so much and I hope you, your mom and Kelly are healing quickly! Ann, I just made the Oatmeal Banana Breakfast cookies and they are delicious! Thanks for the inspiration! Those pesky overripe bananas are always a challenge…here’s the solution! Just joined your site and read about you mom and Kelly the pup. I am so sorried. I hope everyone is recovering and feeling better. I walk my 3 little dogs and my worse nightmare is getting attack by another dog. So scary!! You have a beautiful blog and I am a glad I found it. Thank you for your creativity . These sound so delicious, been making me and my 7 year old smoothies with oatmeal in it and she loves it.For those lazy, painful days (I have a dibilitating nerve condition ) we could just grab something to drink , a yogurt and some yummy breakfast cookies and snuggle back in bed with our puppy Biscuit . Ann, do you think the cookies could be made and frozen? I’d love to make them for my summer cottage and freeze them so they’d be ready for overnight company! Thanks. Yes I think you could give it a try. Take them out of the freezer the night before. What you could do in the morning is just warm them up in the oven at 375 degrees for 5 or 10 minutes. They would dry out a bit in the oven and might taste even better! I am going to freeze a few from my next batch and see what happens. Let me know how yours turn out! These cookies are delights! I’ve made them twice now and my uber-healthy-eater husband cant stop gobbling them up. Thank you for the recipe. I always have trouble getting him to eat breakfast and these have been a big help. I know…aren’t they good? I think they are a healthy but tasty option. Thanks for your comment! I’m so sorry to hear about your dog and your mom! I hope everyone is healing and getting better! Those breakfast cookies look delicious! What an awful experience with the vicious dog! Your poor baby Kelly, I’d be besides myself too. And your mom as well. You are all in our thoughts and prayers on your road to recovery! Carrying a can of any type of spray is a great idea for us all! Oh Ann, when it rains, it pours, doesn’t it? You and your family are in my heart and in my prayers. And poor Kelly’s world has been turned upside down, too, and you can see it in the photo of her! Give her a hug from Lucy and the rest of us! So sorry to hear about your attach with the dog. And poor little Kelly – so cute in the picture. And glad your Mom is doing better. I know that feeling of not feeling safe in your own neighborhood – I use to walk in my old neighborhood and one day a bat flew right over the top of my head…I was so bummed – but I did not go out early in the morning anymore. 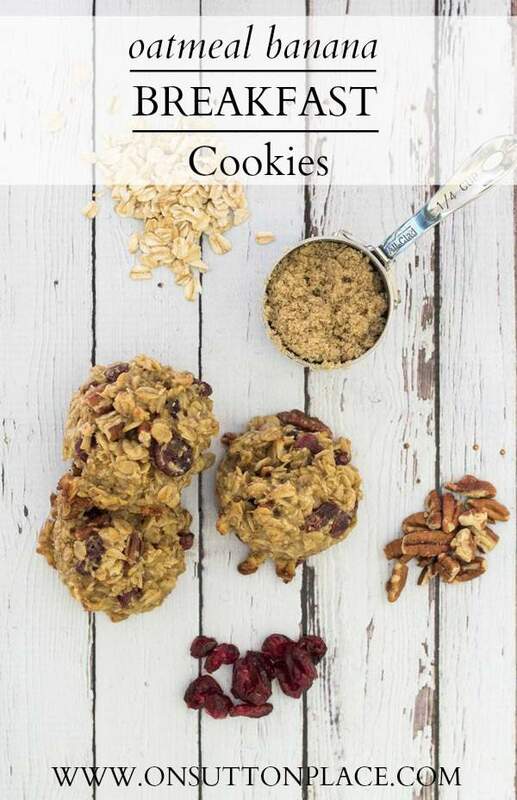 I’m going to try the breakfast cookies.. they look great – I love oatmeal raisins cookies, so I’m sure to like these as well. Ann, I have just started reading your site and have got so excited in how I connect with you. Like you and millions of mums across the globe who have an innate sense of DIY, hoarding and collecting ideas, and resources for projects, you have inspired me to move out of my lethargy. I am going to sit in the sun with a coffee and immerse myself in your energy and creativity. Your layout, fonts etc of your site immediately caught my attention. Without knowing your talents yet, I love the honesty you share in ‘about Ann’ it resonates with me and I am sure with countless numbers of mums…… Oops and dads. Thank you. Must go as I have a coffee to make. My prayers are with all your family…just look to the Lord for strength. My neighbor in a previous neighborhood taught me to carry a can of the wasp spray that shoots out about 15 to 20 ft. when out walking in case of an attack (of any kind). These cookies sound like the perfect thing to make for my Mom-to-be daughter in law when the visit for the 4th. The strawberry bread was amazing & I’m sure these will be fab as well! Hope you & the whole family will be celebrating the 4th in good shape! Its not good when you no longer feel safe around your own home, sorry to hear this. 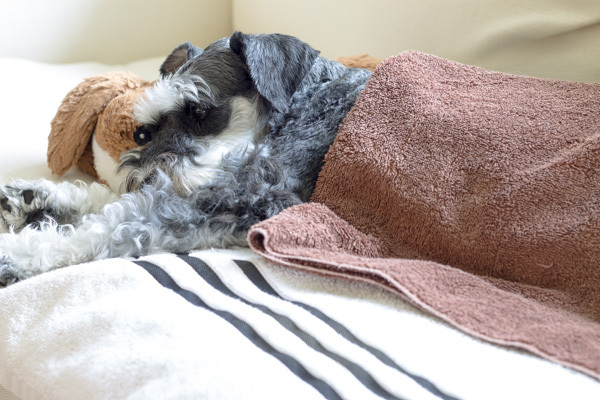 Hoping you and your pet will “weather the storm” and come out fully restored. Praying for you. oh my Ann …. your plate is a little full! My prayers are with all of you! Give Kelly a little scratch on the head from me. The cookies sound great. I’ve never thought about freezing bananas. Thanks for the tip. I’m happy to hear you are doing ok from the dog attack and I hope Kelly is all better soon. Keeping you in my thoughts and prayers. Many blessings to you and your family Ann. You are all wrapped up in Love and it’s permanent and forever. With love. Bless you right back Nancy…thank you! I’m so sorry Ann. Of course I will send prayers your way. I hope your mom gets better soon. And the experience with your dog…well, there is nothing more unsettling than not feeling safe and secure in your own neighborhood. Sounds like you’ve had a rough summer. Hugs! I forgot to add that I made the lemon butter cookies a few days ago, and my husband and son loved them. Now I must try the banana cookies. Dear Ann, I prayed immediately after reading your blog for your mom, dad, you and Kelly. It can be so difficult when our parents are no longer the stronger ones, but thankfully you are there to assist and she is better. I hated to hear about Kelly but I am grateful that she is on the mend. I have two Lhasa Apsos that I would love to walk around the neighborhood, but I never know when I dog will get loose and I’ve experienced the horror before when walking my infant son in a stroller. Just be prepared the next time with some sort of spray. Oh my goodness Lynn…I cannot even imagine. Thank you for your kind words and for taking the time to leave a comment. I so appreciate it! From working at the Health Dept. I know that a dog should be quarantined after biting a human, but I’m not sure if that applies if the dog attacks another animal. If you haven’t already, you should report the dog to your local HD. Sorry to hear of the attack & health issues with your mother. My mom had to get a pacemaker a couple of weeks ago, & now is in a nursing facility about 45 min. away. It’s hard to see our parents becoming more frail. I’ll be say a prayer for your family! Hi PJ! No there is not any quarantine for a dog who attacks another dog. However, this was the second offense for this dog and there are definitely stiffer consequences. It may take a while to see it through but I am determined to do it. I would hate for this to happen a third time to someone’s pet. Thank you for taking the time to leave me a note! Ann, I am so sorry to hear about your attack. I will certainly be praying for you and sweet Kelly, as well as your parents. I hope things will be much better for all of you very soon. God bless you during this time. The breakfast cookies sound great. I will make them asap. To post a recipe when you have been going through a tough time shows how thoughtful and kind you are. Thanks, Ann. Hang in there. Actually Sherry it gave me something to do. Once again this blog saved me from feeling sorry for myself! Thank you for your kind words. Enjoy your weekend! I’m so sorry for your recent troubles and worry for your mom. Sending wishes for speedy recoveries for you all, including Kelly! I pray all is well with your Mother and puppy dog .We always feel so helpless when a parent or child is ill. We lost my amazing Father last Fourth of July and the month he was in there we felt so helpless now we just hurt. ….So glad she is home again . Thank you for posting your breakfast cookie, it sounds yummy. I will try it tomorrow. You and your mom and your little baby are in my prayers, what a horrible experience to go through. I just can’t believe that people let their dogs run loose especially dangerous dogs, and you know if your dog is a menace or not, these people should be fined until it hurts really bad. Keep the faith and take care. How frightening and maddening. Hope your whole family’s on the mend soon. Thanks for sharing a wonderful gluten-free recipe. Can’t wait to try it. Oh Ann, so sorry about Mom and Kelly. I’m so glad she’s turning a corner for the better, but how is Mom doing? I know what you mean about feeling safe when walking in your neighborhood. I take my sweet Lab/Retriever puppy out for a walk every night and I’m very thankful when we don’t encounter loose dogs. I will be sure to keep all in my prayers. Thanks for letting us know. PS – can’t wait to try the cookies!! Oh Ann, my heart goes out to you. What a rough week you’ve had! I so hope your mom is doing better and on the mend. Poor sweet Kelly. It sounds like you are taking good care of her and I’m sure she will be up and running around soon. Do keep us all posted when you have a chance. Ann, your mom and you are in my prayers. I hope Kelly is up and about soon. That picture is adorable.Trying your breakfast cookies soon. I think I will add dark chocolate chips too.Worked six and a half hrs. at our church rummage sale set up today. Relaxing with feet up and a cold glass of water with lemon. Can’t wait to shop tomorrow. Oh, my that attack could have been much worse. That is scary! Glad you are both ok. Maybe you will have to carry pepper spray. Or, ask your vet what to spray an aggressive looking dog! A shame that someone was so irresponsible with their dog. I hope Kelly doesn’t get an infection. Watch her closely and keep us updated. You are in our prayers. Ann, I am so sorry to hear about all your heartache over the last few days, it is difficult to have a parent become ill, and to have a beloved dog like your Kelly hurt must be doubly difficult. Many thoughts are with all of you for a speedy and complete recovery. I thoroughly enjoy your blog and hope your next post contains happy news! Very sorry your Mom is not well. Very sorry a loose dog attacked Kelly. I hope the worse days are behind you, and there is continued healing and peace. Can’t wait to make these breakfast cookies.yummy also prayers for both of you.keep well. You’re on my prayer list. So glad you are seeing both mom and pooch showing signs of getting better. I hope you found the dog’s owner and was able to have something done about him running free if he’s that aggressive. I hope everyone is on the road to recovery ! You will certainly be added to my prayers, Ann. I’m so sorry that unfortunate incident happened to you and your cute Kelly. The cookies look amazing; I will try those! 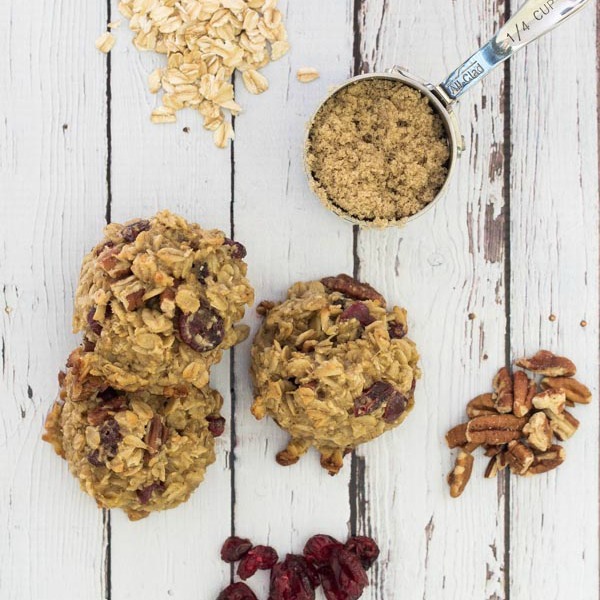 Those breakfast cookies look delicious, and I happen to have all the ingredients on hand! I think I’ll whip up a batch for a midmorning snack! It makes me angry too when irresponsible people don’t keep their pets in the yard–and it always seem to be the huge dogs that get loose. I’m sorry that happened to you. I will keep you all in my prayers. Those cookies sound wonderful! Glad you Mom is back home. Did you report that loose dog? That had to be scary! Oh yes Penny we definitely reported that dog. My husband is an attorney and we’ve done everything we can to make sure this won’t happen again. Our attack was the second for this particular dog. It would break my heart if this would happen yet again to another family. I think of you often even though we have never met…my Mom suffers from dementia and my Dad is the primary person to care for her, along with extra help for a few days and meals. My sister and I share other, many responsibilities. It is a difficult road to travel and changes come fast and can be so hard. You are all in my thoughts.